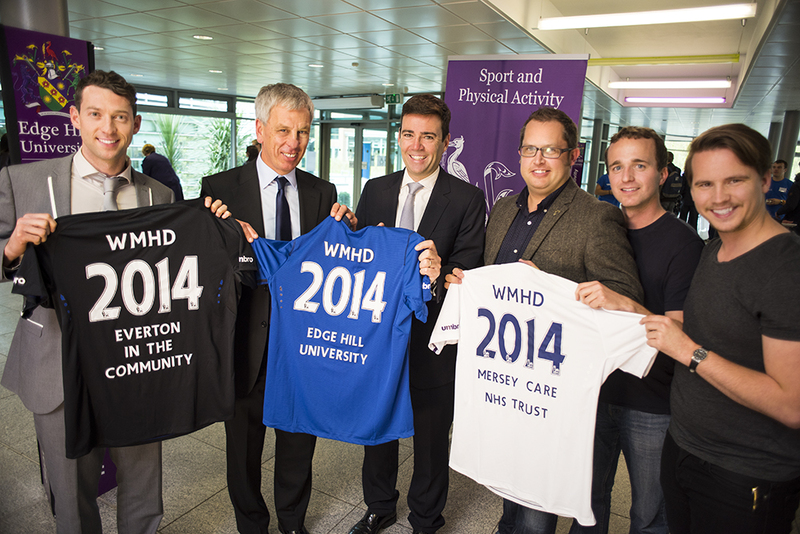 Labour MP Andy Burnham and comedian, broadcaster and writer Jake Mills were amongst a host of speakers at yesterday’s Understanding and Promoting Mental Health: The Role of Sport and Physical Activity conference at Edge Hill University. The conference was being hosted by the University alongside Everton in the Community and Mersey Care NHS Trust to mark World Mental Health day which takes place today, Friday 10 October. The conference promoted an understanding of mental health and wellbeing in local communities. It also described how community sport and physical activity, delivered as part of broader health programmes, can contribute to the management and promotion of mental health. The implications of publically disclosed cases of mental illness amongst elite athletes and other high profile figures will also be explored. The conference was the latest event in a ground-breaking collaboration between Edge Hill University and Everton in the Community, which seeks to benefit the local community through research-led projects and student academic placements. The exclusive five-year partnership involves numerous student-led initiatives in the areas of public health and physical activity, sport policy and community sport development with the objective of overcoming a variety of social challenges facing those across Merseyside on a daily basis. Would you like to receive a recruitment e-shot every two weeks?